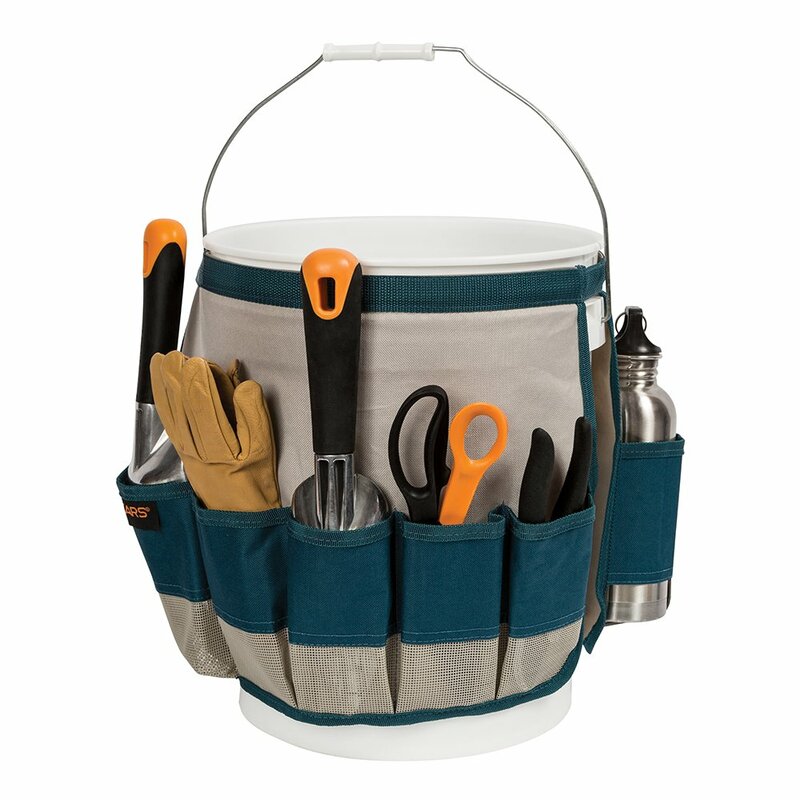 The Garden Bucket Caddy by Fiskars makes it easy to carry all of your essentials when you're out in the garden. 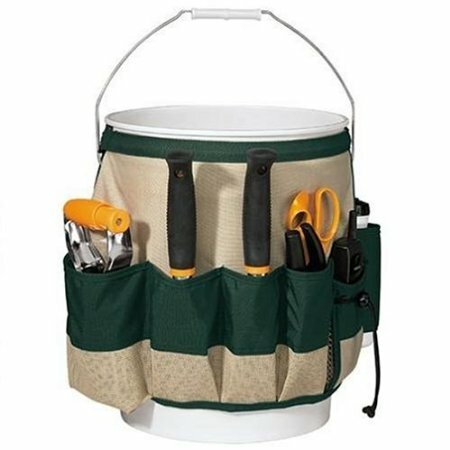 It fits snugly on a five-gallon bucket, freeing up the internal space for dirt, yard waste or supplies. Deep, large pockets provide ample space for tools, gloves, beverages and even a cell phone. Sturdy canvas construction is light, durable and easy to clean. The Bucket Caddy has a Lifetime warranty. This is a great product that we primarily utilize for weeding and pruning (holding my phone, drink, and tools close at hand while giving room to toss debris for disposal). For heavy tools, you'll want to get a caddy which is specifically designed for them. • The included strap is Velcro; the description makes mention of a "lock-and-loop" fastener which perhaps was on an earlier version that was perhaps dropped from the one we received (unless that's how they describe a Velcro fastener). This makes a concern for future use as Velcro doesn't work as well when muddy or old. • Lack of elastic; there are plenty of compartments of varying sizes, but it would have been nice to have a few pockets which would stretch to accommodate smaller items in a larger opening (such as knee pads). This will only fit a 5 gallon bucket, which is not included (commonly, one can be had at your local hardware store for under $5). Overall we found this to be an extremely beneficial tool; perfect for a some light gardening. The price is affordable (about $13 at the time of this posting), though you may be able to find it lower at your local hardware store.